OFFICE SPACE IS CHANGING – AND IT’S GOOD! In the not-so-distant past, offices were full of file shelving and cubicles. Today we know that professionals expect a lot more from their office environments. Managers are thinking about the ability to adapt to changing needs at a moment’s notice, and employees want comfort, innovation, and sustainability. What that means is the best people want to work in the best office spaces. Enter LEED, WELL, and AGILE. Your company culture and environment are more important now than ever. 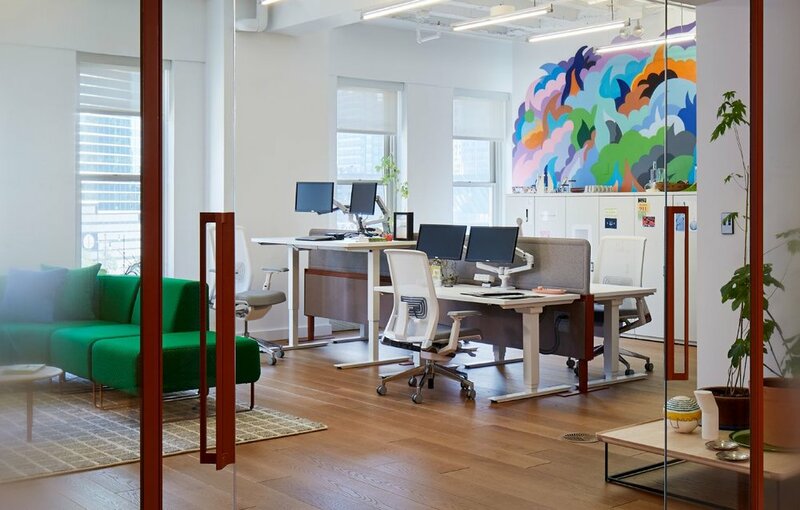 These days, we see trends leaning towards sit-stand desks, modular walls, raised floors improving air quality, and storing physical files offsite in cheaper, self-run warehouses. HBI has been helping people navigate the changing demands to their work spaces for over 30 years. We will work with you to meet these demands at the budget and pace that’s right for your business.